Today’s Customer is Omnichannel – Are You? One-third of the population is comprised of millennials and there are now almost 5 Billion mobile phone users in the world. These shifts have brought new challenges to the way your business delivers customer experience. 90 percent of consumers check your website before interacting with your company, and most customers would rather interact through digital channels like email, chat, and social media. 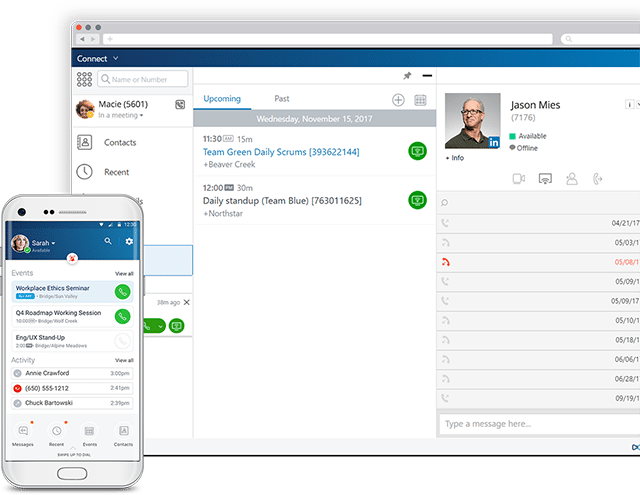 Mitel’s MiContact Center Business platform is designed to give your customers the freedom to interact with you on their preferred device, using the media that works best for them while giving agents and supervisors the tools to manage today’s omnichannel customer journeys. MiContact Center Business is built to manage service levels across all the channels your customers choose to use. customers are in their journey. Armed with the map of the customer’s journey, agents quickly and efficiently resolve customer inquiries without having to ask the customer to start from the beginning.